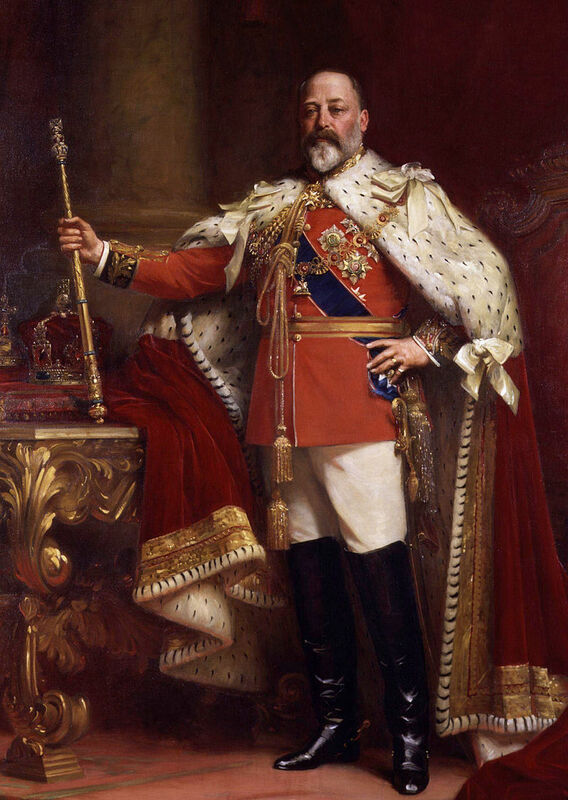 Below is the text of the speech made by King Edward VII in the House of Lords on 14 February 1901. I address you for the first time at a moment of National sorrow, when the whole Country is mourning the irreparable loss which we have so recently sustained, and which has fallen with peculiar severity upon Myself. My beloved Mother, during Her long and glorious reign, has set an example before the world of what a Monarch should be. It is My earnest desire to walk in Her footsteps. Amid this public and private grief it is satisfactory to Me to be able to assure you that My relations with other Powers continue to be friendly. The war in South Africa has not yet entirely terminated; but the capitals of the enemy and his principal lines of communication are in My possession, and measures have been taken which will, I trust, enable My troops to deal effectually with the forces by which they are still opposed. I greatly regret the loss of life and the expenditure of treasure due to the fruitless guerilla warfare maintained by Boer partisans in the former territories of the two Republics. Their early submission is much to be desired in their own interests, as, until it takes place, it will be impossible for Me to establish in those Colonies institutions which will secure equal rights to all the white inhabitants, and protection and justice to the Native population. The capture of Peking by the allied forces, and the happy release of those who were besieged in the Legations, results to which My Indian troops and My Naval forces largely contributed, have been followed by the submission of the Chinese Government to the demands insisted on by the Powers. Negotiations are proceeding as to the manner in which compliance with these conditions is to be effected. The establishment of the Australian Commonwealth was proclaimed at Sydney on the 1st January with many manifestations of popular enthusiasm and rejoicing. My deeply beloved and lamented Mother had assented to the visit of the Duke of Cornwall and York to open the first Parliament of the new Commonwealth in Her name. A separation from My Son, especially at such a moment, cannot be otherwise than deeply painful; but I still desire to give effect to Her late Majesty’s wishes, and as an evidence of Her interests, as well as of My own, in all that concerns the welfare of My subjects beyond the seas, I have decided that the visit to Australia, shall not be abandoned, and shall be extended to New Zealand and to the Dominion of Canada. The prolongation of hostilities in South Africa has led Me to make a further call upon the patriotism and devotion of Canada and Australasia. I rejoice that My request has met with a prompt and loyal response, and that large additional contingents from those Colonies will embark for the seat of war at an early date. The expedition organised for the suppression of the rebellion in Ashanti has been crowned with signal success. The endurance and gallantry of My Native troops, ably commanded by Sir James Willeocks, and led by British officers, have overcome both the stubborn resistance of the most warlike tribes in West Africa and the exceptional difficulties of the climate, the season, and the country in which the operations have been conducted. The garrison of Coomassie, which was besieged by the enemy, has been relieved after a prolonged and gallant defence; the principal Kings have surrendered, and the chief impediment to the progress and development of this rich portion of My West African possessions has now, I hope, been finally removed. The suffering and mortality caused by a prolonged drought over a large portion of My Indian Empire has been greatly alleviated by a seasonable rainfall; but I regret to add that in parts of the Bombay Presidency distress of a serious character still continues, which my officers are using every endeavour to mitigate. The Estimates for the year will be laid before you. Every care has been taken to limit their amount, but the Naval and Military requirements of the Country, and especially the outlay consequent on the South African war, have involved an inevitable increase. The demise of the Crown renders it necessary that a renewed provision shall be made for the Civil List. I place unreservedly at your disposal those hereditary revenues which were so placed by My predecessor: and I have commanded that the Papers necessary for a full consideration of the subject shall be laid before you. Proposals will be submitted to your judgment for increasing the efficiency of My Military forces. Certain changes in the constitution of the Court of Final Appeal are rendered necessary in consequence of the increased resort to it, which has resulted from the expansion of the Empire during the last two generations. Legislation will be proposed to you for the amendment of the Law relating to Education. Legislation has been prepared, and, if the time at your disposal shall prove to be adequate, will be laid before you, for the purpose of regulating the Voluntary Bale by Landlords to Occupying Tenants in Ireland, for amending and consolidating the Factory and Workshops Acts, for the better administration of the Law respecting Lunatics, for amending the Public Health Acts in regard to Water Supply, for the prevention of drunkenness in Licensed Houses or Public Places, and for amending the Law of Literary Copyright. I pray that Almighty God may continue to guide you in the conduct of your deliberations, and may bless them with success.